High tension cable 2mt is an important part of the X-ray machine, which often has some problems in daily use. Different machine failure performance is different, the following phenomenon should be considered as the fault of the high pressure part. The high pressure part mainly refers to the three components of high pressure oil tank, High Voltage Cable and ball tube. High-voltage fault maintenance is the maintenance of these three components. 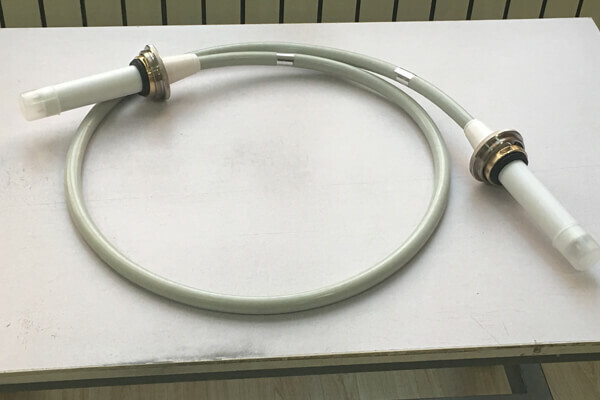 The breakdown of the high tension cable 2mt is shown as the breakdown of the cable itself: frequently occurs at the cable’s repeated bend.Breakdown of high-voltage plug and opening of cable conductor: occurs at the welding of cable conductor and high-voltage plug. The reason is that the high pressure exceeds the bearing voltage of the high tension cable 2mt, and the quality of production. The high tension cable 2mt core wire is mostly the quality of production. The repeated movement of the ball tube during the use of the machine leads to repeated bending of the high tension cable 2mt end, which makes the bending performance worse. The quality of Newheek high tension cable 2mt is guaranteed and can meet your requirements.